To become an EMiLA student, students apply for the regular master’s programme at one of the partner universities/schools. The partner university/school you apply at will be your home university/school for the duration of the curriculum. The Amsterdam Academy of Architecture offers 3 students the opportunity to follow the EMiLA curriculum. The Universitat Politècnica de Catalunya, Spain (UPC/ETSAB/ESAB), the Leibniz Universität Hannover, Fakultät für Architektur und Landschaft, Germany (LUH) and the École Nationale Supérieur de Paysage, Versailles/Marseille, France (ENSP) each offer 5 places. 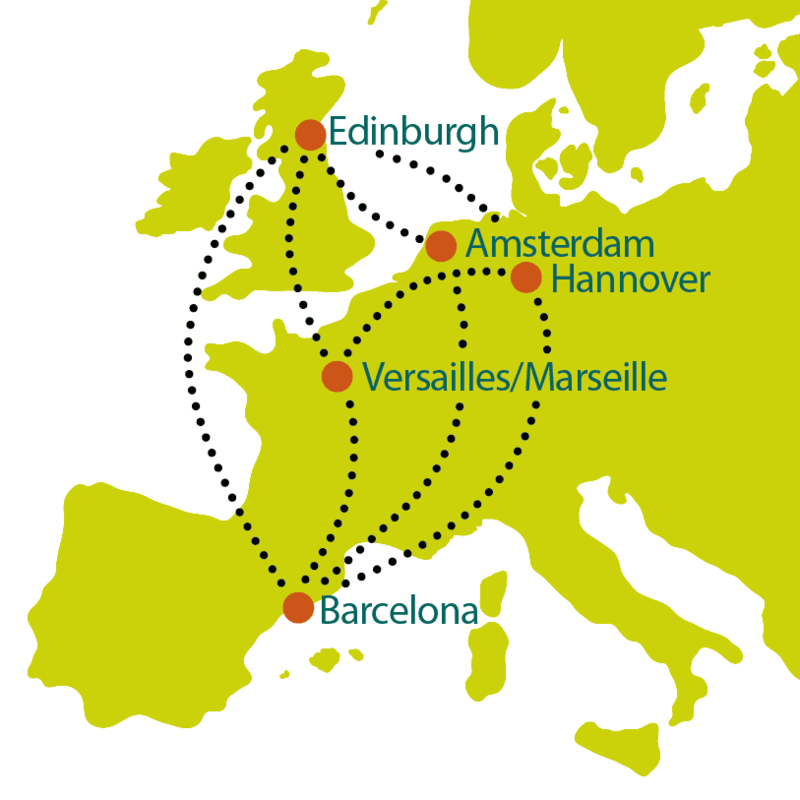 The University of Edinburgh, Edinburgh College of Art, Edinburgh School of Architecture and Landscape Architecture, UK (ESALA) has 10 places. In your application you should list your first three choices of placement in order of preference, with 1 being the first. 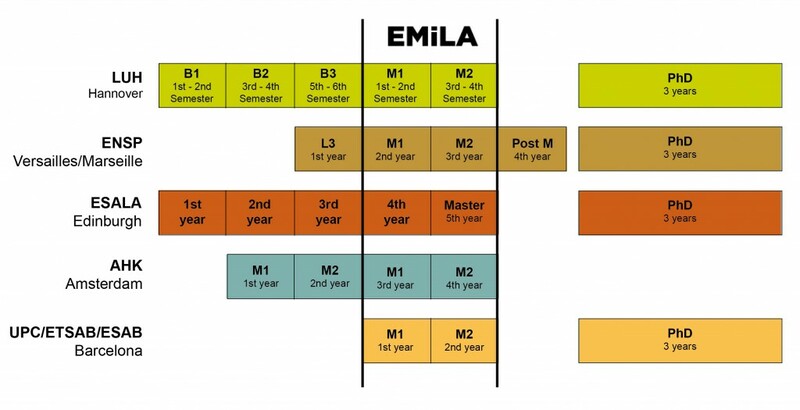 Please note that because each partner can only host a limited number of EMiLA students each semester, we cannot guarantee that you will get your first choice of placement. Each institution sets its own binding admission and language requirements. Please go to the website of the desired home institution, read the EMiLA course handbook or contact the national coordinator to find out more. After succesfully applying, you will be enrolled at your home insitution throughout your course of studies. Your home university/school will remain responsible for your curriculum during the full two years. This home insitution’s examination rules are binding for you. The national coordinator will support you in organizing the two exchange semesters.